After wading thru the gauntlet of white teeth and bumper to bumper handshakes, - make sure you count your fingers after these guys, - then check your options with the Craigslist Curbers. They couldnt be any worse. For $30,000. and your garden variety investment of trust, I got: 1) an odometer reading on purchase date lower than on car history docs. 2) $1965.34 worth of "Extended" Mechanical Warranty Insurance that seemingly doesnt exist, nor ever has. 3) A Purchase Agreement , - notwithstanding the "tampered odometer, failing to make legally required declarations, re: "write-off" accident cost prior to purchase, ($10,466.00) 4) A fraudulent Mechanical Inspection Report, not forgetting fictional mileage; failure to legally declare kaput front brakes, worn out steering system making a steering wheel incidental, and a bottomless engine oil leak. 4) failure to comply with both any legally required B.C. MVASA"Consumer Protection" disclosures, and flat refusals to date to provide any of these "incriminating" transaction documents. 5) Imposed padding of "Delivery Costs" with $299. for "Anti-Theft Install" and "Anti-Theft Policy", despite zero verification of either, they forgetting the vehicle factory equipped with same. 6) Refusal to date to provide policy doc "wordings" for the couple thousand dollars of fictional Warranty Insurance, that arguably would prove essentiall as to "Carrier", Terms & Conditions, Expiry Date, - should you ever have, with high probability, need to file a claim. 7) Refusal to make payment or credit of $1000." Trade-in" allowance repeatedly agreed upon in negotiation & acknowledged in Purchase Agreement, - only finding impetusto pay ou ton threat of legal action, and explained away as merely an "administrative error" 8) Refusing access to trade-in vehicle to retrieve personal belongings, - leather jacket, brief case with cell phone, camera, wallet c/w $400. now seemingly an integral part of the vehicle 9) Refusal to date to comply with written "compensation agreement" making partial amends for above, 5 months on, citing some distant future date so to reach an "evaluation". No surprise, - the prinicipal owner a lawyer. Read other online dreadful Reviews & Ratings. Quite looking forward to their response to this Review of just another day at Surrey Honda. NB: In response to Surrey Hondas very late spin on the fraudulent odometer reading, is why the mileage showing on the car was lower than which was documented the cars history, - including what they themselves noted upon receiving the vehicle. In terms of reliance on the BCVSA for a straight answer on even the day of the week, It being also noteworthy they fail to respond to the minor issue(s) of fraudulent vehicle inspection, $ 1900. worth of Extended Insurance that doesnt exist, - a fraudulent Surrey Honda Vehicle Inspection Report, - the theft of personal belongings by their staff/ and or associates from the purchasers vehicle. I would encourage everyone to read the reviews of this dubious enterprise, consisting primarily of ex car-pimps who it would appear are indisputably in cahoots with the really dodgey Dealers, as per the aforementioned. I find it a tad mind boggling, notwithstanding the bottom line, and the Honda brand they are still in business. I purchased " A certified pre-owned 2009 Honda Element " from Surrey Honda and had the worst experience. When we were purchasing the Element, I pointed out a number of cosmetic things that were missing in the interior of the vehicle. Things that all Elements came stock from the factory with. 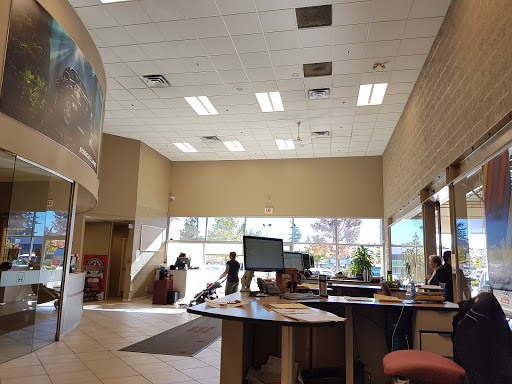 Part of the sales/purchase agreement was that all items would be ordered and paid for by Surrey Honda and that the interior which was really dirty had to be detailed. When we picked up the Element the interior was not detailed and I was informed all of the pieces ordered were on back order. We waited around 2 hours for the interior to be detailed and drove home to Vancouver in a wet interior. That week after work one day the element would not start, after trying to turn it over I realized it was the battery. I had it jump started and called the dealership, since I paid for a " certified pre-owned Honda " I was surprised that after barely one week of owner ship it wouldnt start. They told me there was nothing they could do as I was in Vancouver, they suggested I drive all the way out to Surrey that night and they would have a look. I drove out in rush hour traffic to the dealership and waited 2 hours, they eventually gave me another battery. When I spoke to the General Manager he flat out said " Its a used car, these things happen". He also basically said there was nothing he could do to compensate me for the trip/inconvenience it had caused me. I also asked him about the pieces on back order and he said he would check on the status. Almost 1.5 years later I still have NEVER received these pieces that were on back order. I did call and follow up a few times, however no one ever seemed to know what happened to them. After contacting the manager again he stated the pieces were never part of the sales agreement and that they were never ordered. They promised the world to get the sale, in the end they never lived up to their end of the sales terms. I first visited Surrey Honda being referred from a friend in 2011. I had the pleasure of having John Vu as my sales consultant and he was polite, informative, and very persuasive as a sales person should be. I spent some time test driving some used vehicles and left the lot feeling somewhat content on a possible purchase. John messaged me and offered me a superior alternative into purchasing a new car, we looked over some options and within 2 days I had purchased a brand new Civic EX. The reason John was able to make the sale was not because I was looking into purchasing a car at the time it was because he took the non-traditional approach and remained passive without being pushy providing me with several alternative choices and why Honda is the superior product in comparison to its competitors. After a year of owning the EX I loved the car, but felt I needed more since John and myself were in regular contact I messaged him and let him know about the situation, in no time he advised me of a promotion going on at Honda clearing out the 2012 models of Civic Sis. When I went into the Honda to take a look John once again provided exceptional advice, service, and remained informative while refraining from being pushy. Once I test drove the Si I knew I had to upgrade, later that evening I had purchased a second car from John Vu. Any concerns or problems I have with Honda I message John directly and he advises me on the best course of action in all aspects. I have begun recommending all my family and friends to deal with John and Surrey Honda simply due to the exceptional service. It is without a doubt I will be driving a Honda for years to come and continue my business and interactions with John Vu. Car was towed there at night for a flat and I had the following rude, innappropriate, and/ unprofessional interactions with service representatives when I called the next day to inquire: - Juggled on first call in transfers with no one wanting to answer question ending with someones dead end voicemail. - Called back and heard the representatives talking about me while I was "on hold". - After explaining who I was and asking what my service options were I was put on hold. That was no problem but then a different person picked up the phone, had no idea what was going on, and I had to start over again. - My out of country area code was scrutinized and I was persistently asked multiple time "whats up with that, where are you from??" - When the above was answered I was told under their breath that I was "kinda weird". - One new tire needed. With at least 1 cm of tread left on two fine tires I was told they "are bald" and I need a set of four new tires for one flat. - Front desk guaranteed shuttle service which. When the time came I was transferred twice to an angry driver on Bluetooth who after hanging up the first time barked out that he had to be all over town and couldnt make it tonight. - A third call back brought me to my service manager contact Paul who took zero responsibility for anything and laughed at the thought of me getting a shuttle tonight. Job complete but much more difficult, drawn out, and manipulative in attempt than necessary. Easily the worst Honda service between Burnaby, Metro Van and Richmond. At least the second driver Avae(sic) with the green car was personable.